Predicting the future is difficult, if not near impossible. However, salespeople and their managers are asked to forecast the future all the time. Sales forecasting is an art and a science. It is the combination of metrics, qualitative information, intuition, and best practices. 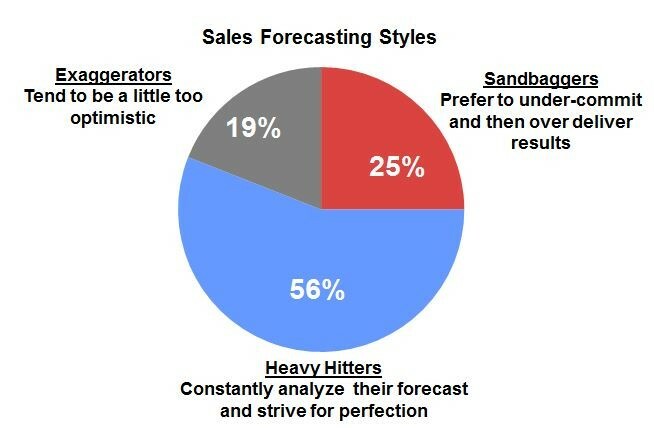 So who are the most accurate sales forecasters, and what separates them from the least reliable? This study of the forecasting habits of business-to-business salespeople and sales managers answer this question. The study results suggest there are three basic types of forecasters: Exaggerators, Sandbaggers, and Heavy Hitters. Nineteen percent of the study participants were classified as Exaggerators, who are overly optimistic forecasters. They tend to interpret information in their favor. For example, if a customer says, “We understand your product, so there’s no reason for you to demonstrate it,” Exaggerators will interpret this as a positive sign, even though all the other vendors are demonstrating their products. Exaggerators are happy-ear forecasters who take customers’ words at face value. When asked why they have forecasted a particular deal to close, they will say, “The customer told us he likes our solution.” They seem to have forgotten the old adage that “all buyers are liars.” Exaggerators may also continually paint the future as being incredibly bright. While this quarter might not look so good, the next one is always going to be fantastic. Twenty-five percent of the participants were categorized as Sandbaggers, secretive forecasters who try to get by giving as little information as possible on the forecast. They figure the less information they give, the less exposure they have to upper management’s analysis of their forecast and their associated deal-inspection questions. Fifty-six percent of the participants were classified as Heavy Hitters, who forecast per their conscience. They constantly analyze their forecast and strive for perfection. Regardless of whether they will have a good quarter or a bad quarter, they tell it like it is. They ignore the braggadocian, hyped-up forecasts of their teammates and consider it a personal obligation to be honest to themselves, their managers, and their company. 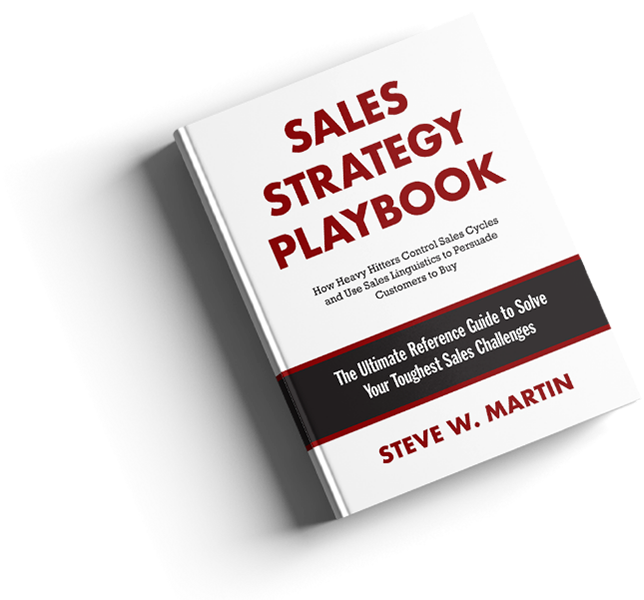 Research details can be found in Steve W. Martin’s latest book titled Sales Strategy Playbook.